Humorology Atlanta, HA! · Pi(e) Day! Pi(e) Day on Facebook Live! 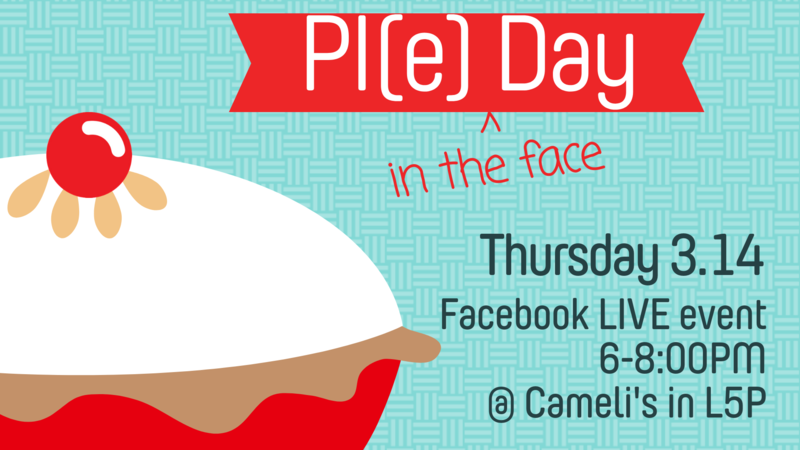 March 14 at 6pm to see who gets the first Pi(e)! How did you hear about HA! ?